Paul Craig Roberts is a former Assistant Treasury Secretary. He is a knowledgeable and astute observer of geopolitics and the domestic and global economies. In the following article which appears in Counterpuch, he describes quite clearly, and I think accurately, the present situation and the prospects for America. It’s well worth reading in its entirety.–t.h.g. Washington has been at war since October, 2001. This war took a back seat when Bush concocted another excuse to order the invasion of Iraq in 2003, a war that went on without significant success for 8 years and has left Iraq in chaos with dozens more killed and wounded every day, a new strong man in place of the illegally executed former strongman, and the likelihood of the ongoing violence becoming civil war. Upon his election, President Obama foolishly sent more troops to Afghanistan and renewed the intensity of that war, now in its eleventh year, to no successful effect. These two wars have been expensive. According to estimates by Joseph Stiglitz and Linda Bilmes, when all costs are counted the Iraq invasion cost US taxpayers $3 trillion dollars. Ditto for the Afghan war. In other words, the two gratuitous wars doubled the US public debt. This is the reason there is no money for Social Security, Medicare, Medicaid, food stamps, the environment, and the social safety net. Americans got nothing out of the wars, but as the war debt will never be paid off, US citizens and their descendants will have to pay interest on $6,000 billion of war debt in perpetuity. Not content with these wars, the Bush/Obama regime is conducting military operations in violation of international law in Pakistan, Yemen, and Africa, organized the overthrow by armed conflict of the government in Libya, is currently working to overthrow the Syrian government, and continues to marshall military forces against Iran. Finding the Muslim adversaries insufficient for its energies and budget, Washington has encircled Russia with military bases and has begun the encirclement of China. Washington has announced that the bulk of its naval forces will be shifted to the Pacific over the next few years, and Washington is working to reestablish its naval base in the Philippines, construct a new one on a South Korean island, acquire a naval base in Viet Nam, and air and troop bases elsewhere in Asia. In Thailand Washington is attempting to purchase with the usual bribes an air base used in the Vietnam war. There is opposition as the country does not wish to be drawn into Washington’ s orchestrated conflict with China. Downplaying the real reason for the airbase, Washington, according to Thai newspapers, told the Thai government that the base was needed for “humanitarian missions.” This didn’t fly, so Washington had NASA ask for the air base in order to conduct “weather experiments.” Whether this ruse is sufficient cover remains to be seen. US Marines have been sent to Australia and elsewhere in Asia. To corral China and Russia (and Iran) is a massive undertaking for a country that is financially busted. With wars and bankster bailouts, Bush and Obama have doubled the US national debt while failing to address the disintegration of the US economy and rising hardships of US citizens. The annual US budget deficit is adding to the accumulated debt at about $1.5 trillion per year with no prospect of declining. The financial system is broken and requires ongoing bailouts. The economy is busted and has been unable to create high-paying jobs, indeed any jobs. Despite years of population growth, payroll employment as of mid-2012 is the same as in 2005 and substantially below 2008. Yet, the government and financial presstitute media tell us that we have a recovery. According to the US Bureau of Labor Statistics, employment in 2011 was only 1 million more than in 2002. As it takes about 150,000 new jobs each month to stay even with population growth, that leaves a decade long job deficit of 15 million jobs. The US unemployment and inflation rates are far higher than reported. In previous columns I have explained, based on statistician John Williams’ work (shadowstats.com), the reasons that the government’s headline numbers are serious understatements. The headline (U3) unemployment rate of 8.2% counts no discouraged workers who have given up on finding a job. The government has a second unemployment rate (U6), seldom reported, which includes short-term discouraged workers. That rate is 15%. When the long-term discouraged workers are added in, the current US unemployment rate is 22%, a number closer to the unemployment rate of the Great Depression than to the unemployment rates of postwar recessions. Changes in the way inflation is measured have destroyed the Consumer Price Index (CPI) as a measure of the cost of living. The new methodology is substitution based. If the price of an item in the index rises, a lower priced alternative takes its place. In addition, some price rises are labeled quality improvements whether they are or not and thus do not show up in the CPI. People still have to pay the higher price, but it is not counted as inflation. Currently, the substitution-based rate of inflation is about 2%. However, when inflation is measured as the actual cost of living, the rate of inflation is 5%. The Misery Index is the sum of the inflation and unemployment rates. The level of the current Misery Index depends on whether the new rigged measures are used, which understate the misery, or the former methodology that accurately measures it. Prior to the November 1980 election, the Misery Index hit 22%, which was one reason for Reagan’s victory over President Carter. Today if we use previous methodology, the Misery Index stands at 27%. But if we use the new rigged methodology, the Misery Index is 10%. The understatement of inflation serves to boost Gross Domestic Product (GDP). GDP is calculated in current dollars. To be able to determine whether GDP rose because of price rises or because of increases in real output, GDP is deflated by the CPI. The higher the inflation rate, the less the growth in real output and vice versa. When the substitution based methodology is used to measure inflation, the US economy experienced real growth in the 21st century except for the sharp dip during 2008-2010. However, if the cost-of-living based methodology is used, except for a short period during 2004, the US economy has experienced no real growth since 2000. The lack of employment and real GDP growth go together with the decline in real household median income. The growth in consumer debt substituted for the lack of income growth and kept the economy going until consumers exhausted their ability to take on more debt. With the consumer dead in the water, the outlook for economic recovery is poor. Politicians and the Federal Reserve are making the outlook even worse. At a time of high unemployment and debt-stressed households, politicians at local, state, and federal levels are cutting back on government provision of health care, pensions, food stamps, housing subsidies and every other element of the social safety net. These cutbacks, of course, further reduce aggregate demand and the ability of income stressed Americans to survive. The Federal Reserve has interest rates so low that retirees and others living on their savings can earn nothing on their money. The interest rates paid on bank CDs and government and corporate bonds are lower than the rate of inflation. To live on interest income, a person has to purchase Greek, Spanish, or Italian bonds and run the risk of capital loss. The Federal Reserve’s policy of negative interest rates forces retirees to spend down their capital in order to live. In other words, the Fed’s policy is destroying personal savings as people are forced to spend their capital in order to cover living expenses. In June the Federal Reserve announced that it was going to continue its policy of driving nominal interest rates even lower, this time focusing on long-term Treasury bonds. The Fed said it would be purchasing $400 billion of the Treasury’s 30-year bonds. Driving interest rates down means driving bond prices up. With 5-year Treasury bonds paying only seven-tenths of one percent and 10-year Treasuries paying only 1.6%, below even the official rate of inflation, Americans desperate for yield move into 30-year bonds currently paying 2.7%. However, the the high bond prices mean that the risk of capital loss is very high. The Fed’s debt monetization, or a drop in the exchange value of the dollar as other countries move away from its use to settle their balance of payments, could set off inflation that would take interest rates out of the Fed’s control. As interest rates rise, bond prices fall. In other words, bonds are now the bubble that real estate, stocks, and derivatives were. When this bubble pops, Americans will take another big hit to their remaining wealth. It makes no sense to invest in long-term bonds at negative interest rates when the federal government is piling up debt that the Federal Reserve is monetizing and when other countries are moving away from the flood of dollars. The potential for a rising rate of inflation is high from debt monetization and from a drop in the dollar’s exchange value. Yet, bond fund portfolio managers have to follow the herd into longer term maturities or see their performance relative to their peers drop to the bottom of the rankings. The point of all this information is to establish that except for the 1 percent, the incomes and wealth of Americans are being cut back across the board. From 2002 through 2011 the economy lost 3.5 million manufacturing jobs. These jobs were replaced with lowerpaying waitress and bartender jobs (1,189,000), ambulatory health care service jobs (1,512,000) and social assistance jobs (578,000). These replacement jobs in domestic services mean that on a net basis US consumer income was moved out of the country. Potential aggregate demand in the US dropped by the differences in pay in the job categories. Clearly and unambiguously, jobs offshoring lowered US disposable income and US GDP and, thereby, employment. Despite the lack of an economic base, Washington’s hegemonic aspirations continue unabated. Other countries are amused at Washington’s unawareness. Russia, China, India, Brazil, and South Africa are forming an agreement to abandon the US dollar as the currency for international settlement between themselves. This means that Japan is in play. The Chinese government, more intelligent than Washington, is responding to Washington’s military threats by enticing away Washington’s two key Asian allies. As the Chinese economy is now as large as the US and on far firmer footing, and as Japan now has more trade with China than with the US, the enticement is appealing. Moreover, China is next door, and Washington is distant and drowning in its hubris. Washington, which flicked its middle finger to international law and to its own law and Constitution with its arrogance and gratuitous and illegal wars and with its assertion of the right to murder its own citizens and those of its allies, such as Pakistan, has made the United States a pariah state. Washington still controls its bought-and-paid-for NATO puppets, but these puppet states are overwhelmed with derivative debt problems brought to them by Wall Street and by sovereign debt problems, some of which were covered up by Wall Street’s Goldman Sachs. 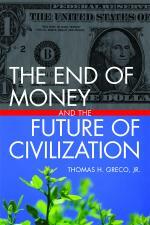 Europe is on the ropes and has no money with which to subsidize Washington’s wars of hegemony. Washington is becoming an isolated and despised element of the world community. Washington has purchased Europe, Canada, Australia, the former Soviet state of Georgia (and almost Ukraine), and Columbia, and continues its effort to purchase the entire world, but sentiment is turning against the rising Gestapo state that has shown itself to be lawless, ruthless, and indifferent, even hostile, to human life and human rights. A government, whose military was unable with the help of the UK to occupy Iraq after eight years and was forced to end the conflict by putting the “insurgents” on the US military payroll and to pay them to stop killing American troops, and a government whose military has been unable to subdue a few thousand lightly armed Taliban after 11 years, is over the top when it organizes war against Iran, Russia, and China. The only prospect Washington has of prevailing in such an undertaking is first use of nuclear weapons, of catching its demonized opponents off guard by nuking them out of the blue. In other words, by the elimination of life on earth. Is this Washington’s program revealed by the neoconservative warmonger, Bill Kristol, who had no shame to ask publicly: “What’s the good of nuclear weapons if you can’t use them?